Marriage is not a fairy tale! How many of you have read the story of Cinderella? The beautiful princess Cinderella married her charming prince who found her missing shoe and they lived happily ever after? Stop reading those fairy tales – I say! If you want to get the girl of your dreams or you want to have a happy marriage – stop reading those fairy tales. We read these fairy tales and grow up in a world thinking marriages are made in heaven, marriage is a bed of roses with no thorns. But in reality, marriages are made right here – on earth and they are a bed of thorns with roses a few and far between. And the modern day girl thinks her boyfriend is the knight in shining armour who comes on a horse in ‘Gangnam style’ and sweeps her off her feet. Before the marriage the boy is head over heels in love and cant wait for the big day to arrive. He shops for a diamond ring. Before my marriage my wife tells me that I used to lecture a lot to her. But after marriage I have become quiet. That is why I take part in humorous speech contest every year because it is the only time I get 5-7 mins of uninterrupted attention and everyone including her thinks we are all having fun! the same guy with the memory of an elephant cant remember his own birthday – and when he goes to the grocery store he goes blank and has to call his wife to ask her what he has to buy. 2 hobbies – shopping and talking. The third one is ‘cooking’ is thrust on her by her mother-in-law. She thinks that shopping malls were made for women. When she goes shopping she needs the husband to tag along to carry her handbag and to pay for the purchases. Man the guy used to go everyday to the gym to build those biceps! Those biceps are not meant to carry ladies handbags.. they are meant to hold weights, haversacks and lift his girl while he is doing the salsa. She thought her prince does not burp, does not dig his nose and does not break wind but after marriage all hell breaks loose – and he does all three at the same time. So here are some tips for guys for survival..
First – listen, listen and listen but do not speak. Here you may have to practice some neck exercises. You can also practice using as many pause fillers as possible – like Ah, umm, ohoh, ok So she will think you are paying full attention to her even if your mind is elsewhere! Do not try to impress your husband – instead you have to tackle the VIP the very irritating person– the mother-in-law. Be at her beck and call. Be ready to do anything for her. Marriage is not about waiting for prince or princess charming to come – it is about making things happen. It is about simple things like sitting together on the beach and watching the sunset, it is about valuing each others freedom rather than tying each other in knots. Fasten your seat belt because I am going to take you on a ride – a taxi ride. After having lived in Singapore for more than 20 years, the person who strikes me as being the most worldly-wise and knowledgeable is our humble taxi driver. Who else gets to meet people from all walks of life – the student, the housewife, the doctor, the engineer, the businessman or the lawyer? 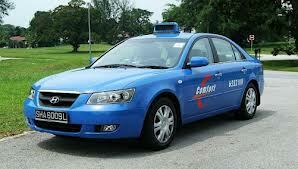 Having said that, getting a cab in Singapore can be a nightmare on some days and really easy on other days. If you do not need a cab – there is a queue of taxis waiting for you. You feel like a celebrity and they are all waiting to take your photographs. The first thing a taxi driver asks you when you enter the cab is “Which way do you want to go? CTE or PIE or SLE or AYE? It is a polite way of saying – I’m new to this job so could you please guide me? He is dying to start a conversation with you. He fires a volley of questions at you. PR of Singaporean, how many years have you been here? Is this your own house? Only 1 daughter – you should go for another one? Suddenly you forget why you are sitting in the cab and by the time you recover your senses, you have overshot your destination. He sizes you up in the rear-view mirror. After that you just want to be safe rather than sorry. This driver needs only hand to drive his cab. Then there was this driver who took me all the way to his home in Sengkang. He said that he knew the way to any place in Singapore only from his home. He reminded me of a PC or phone that had hung and needed to be reset. Once I got into this cab. The guy either went into a night club or karaoke the previous night. He was dozing away and I was trying to keep him awake. Ya – take the next right, then keep straight until you reach the car park. He would wake up and say ‘Ah Ah ok’. I was sitting on the edge of my seat throughout the journey and when I reached I said “Uncle, keep the change” and just rushed home. Whatever quirks they may have, the taxi driver is the pulse of our nation. They are the people on the ground who are aware of almost everything under the sun – be it economy, politics, stocks, property, sports , his family, your family and so on. So, the next take time you take a cab give the driver a big smile because he goes all out to make your journey comfortable and he could make your day! !